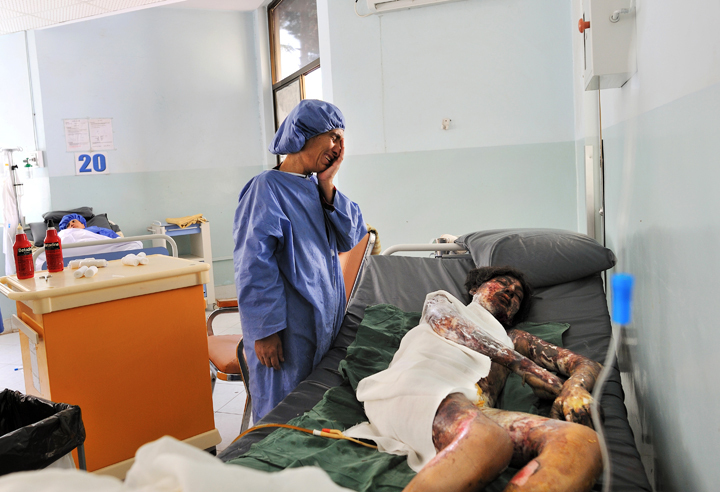 Mariam weeps as she stands over her daughter, Najiba, 13, in the burn center of the Herat Regional Hospital in Herat, Afghanistan, August 3, 2010. Najiba, who had been married six months, claimed that her mother-in-law doused her with gasoline and set her on fire, though her mother, and other nurses in the hospital, were skeptical of her story, and suspected she might have burned herself in an attempted suicide. Najiba's body was 85% burned, and died at 2am on the 5th August.